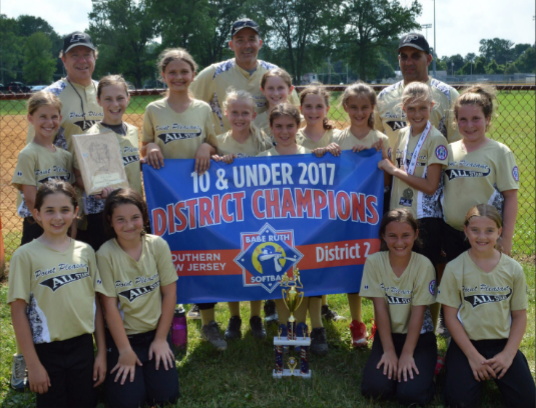 The All-Star 10U Girls Softball team won the Division Championship this season because every member of the team gave it their all, said Coach Tom Decker. “This has been a total team effort,” said Decker, one of the coaches who helped guide the Point powerhouses to victory. “Pitching has been stellar, defense has been solid, the girls have run the bases in a smart and aggressive way, and, offensively, they have put runs on the scoreboard.” The 10U girls all-star team, consisting of girls who are 10 or younger entering the year, had been chosen from the three teams that competed in the Point Pleasant Youth Soft- ball League chartered by Babe Ruth Softball. “This group of girls have come together quickly to become a true team,” Decker said. “They have all worked hard in the off-season preparing for this. Every girl attended the 2016 summer clinics, played in the inaugural season of Fall Softball in Point Pleasant, attended the winter workouts held in the gym at Nellie Bennett and did some working out with their respective travel softball teams. 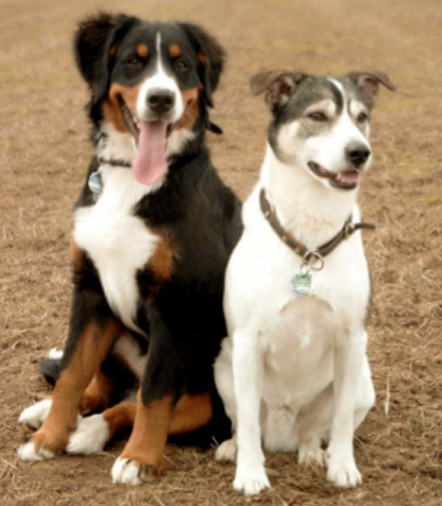 As a group, they were anxious to learn. 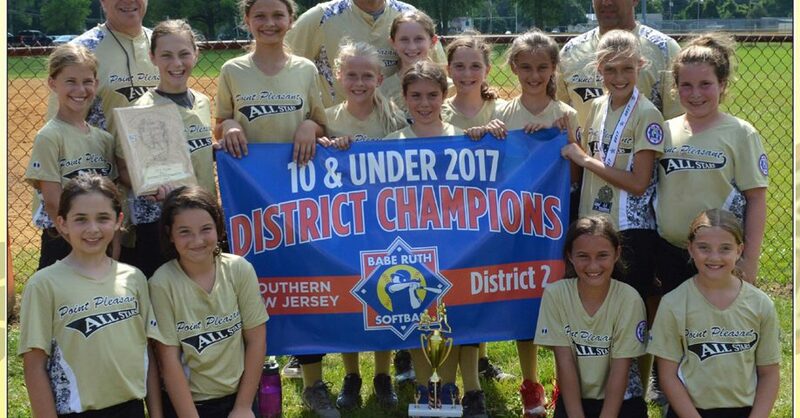 They are always looking to improve and have really developed a competitive edge about them.”The team was led by the pitching of Dakota and Ashlee Palmieri, Toms River residents. In elders included Ava Bjorndahl, Mahlia Decker, Rylee Thrunk, Brooke Coleman, Isabel Shaver, and Emily Fitzgerald. Out elders are Gabby Mellett, Abby Gurzo, Cathryn Pope, Elise Viggiano, and Julia Thompson. Marissa Pope was behind the plate for all of the tournament games. Other than the Palmieris, and Brooke Coleman who lives in Point Pleasant Beach, all other players are Point Borough residents. The team played an exhibition season leading up to the tournament. They faced Allentown, Barnegat, Galloway, Ventnor, and Egg Harbor Township. During this time they compiled a 6-1 record. During the district tournament, they defeated Upper Freehold 6-4 in the first round, Barnegat 20-0 in the second round, and then Upper Freehold again 5-1 in the finals, Decker said. The girls then competed in the state tournament held from late June through July 2. They won their first game of the tournament against Sacred Heart, but ultimately did not emerge in the top two, so they were not able to advance to Regionals in Pennsylvania. However, the team is celebrating their stellar season and looking forward to next year. 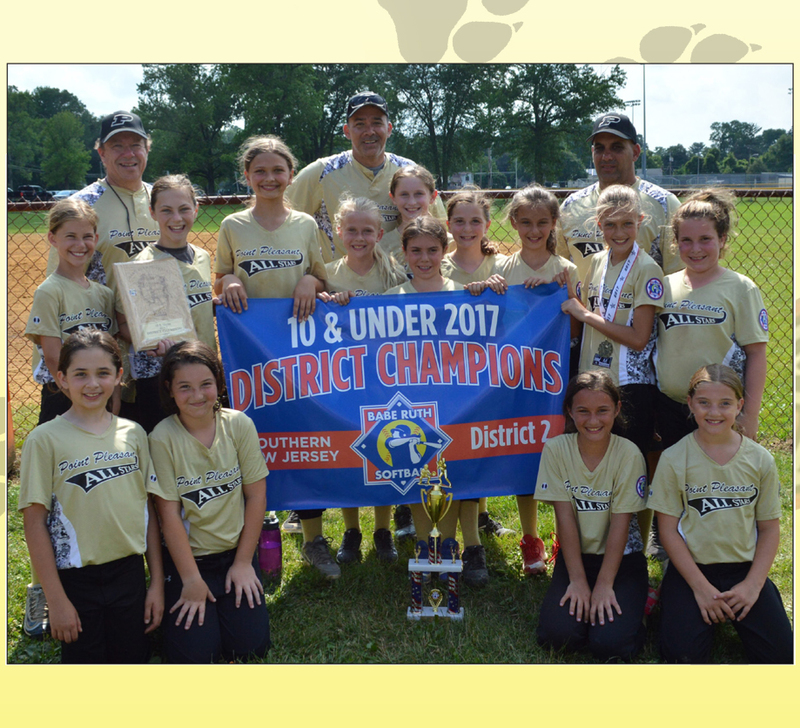 The team was also overseen by Softball League President Bruce Ghmale, Team Manager Pat Pope and Coaches Mike Gurzo and Dave Shaver.